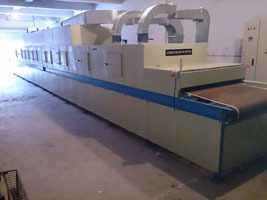 Kerone’s Microwave Industrial dryers can comply with drying requisite of almost every types of industrial applications, those who demands high level off accuracy, lowest response time, environmental friendly solution, at higher efficiency level. Accuracy and Time have become the key driver of today’s industrial process requirement. 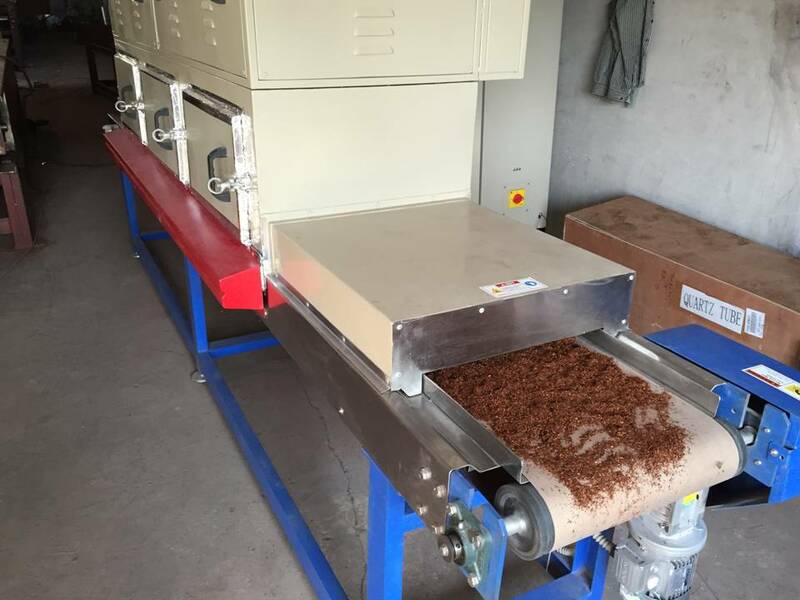 Microwave based industrial dryers have been answer to many of such industrial drying application, it utilises high frequency electromagnetic waves that penetrates through the material and results in mobilising the molecules from within which helps in achieving the goal of drying at very faster rate. Microwave is not a type of heat, rather it’s a form of energy that are exhibited as heat by the means if their interaction with the material. It results in material to heat themselves, the mechanism of energy conversion used is dipole rotation. In Dipolar rotation is forced processing that happens within the material, many molecules such as water are having asymmetric i.e. they are randomly oriented being in relaxed (zero) state. When electromagnetic field (Microwave) induced it causes stress on the molecules to bring them in alignment, as the electromagnetic field changes its polarity decaying towards zero the diploes returns to relaxed state orientation only to be pulled toward alignment again as the electromagnetic field reaches to its reverse polarity. This changing of polarities in electromagnetic field, takes place in millions of time every second and causes the dipoles equally to align and relax millions of times per second. This change in state of dipoles results in the conversion of energy from stored potential energy to thermal energy. 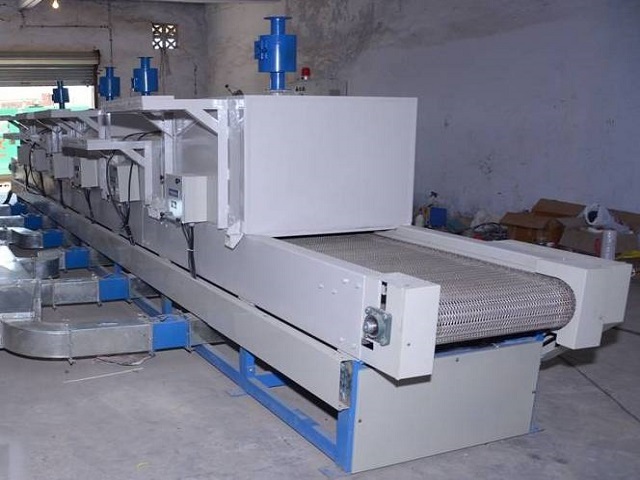 Being pioneer in providing heating, cooling and drying solution, KERONE always tried to help its clients to with best quality product with latest technology to fulfil their specialize needs at affordable cost. 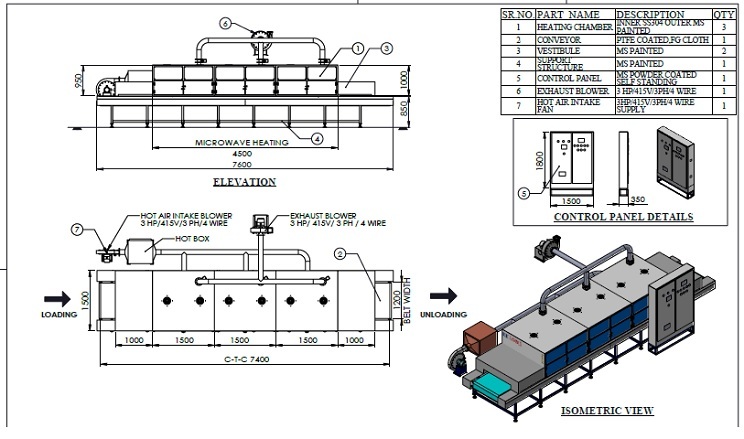 Based on the application requirement we provide various types of microwave industrial dryers. Microwave heat penetrates both on the surface as well as internally within the object placed for the Treatment. 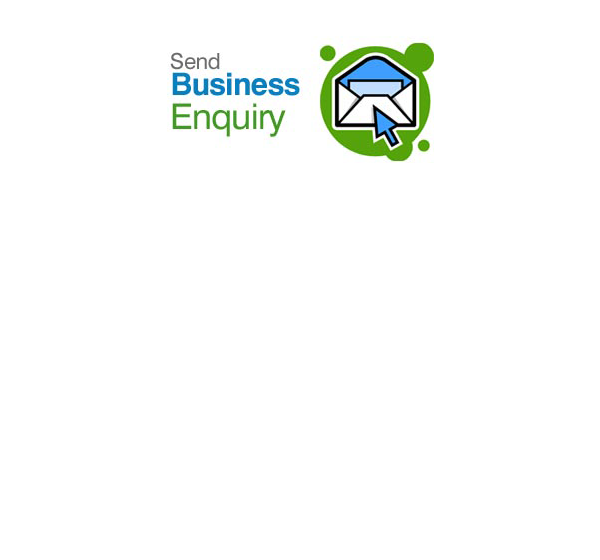 High speed of heating reduces total time of processing. 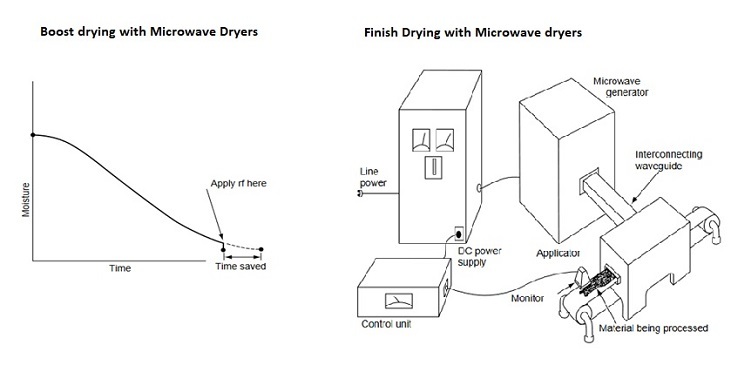 Microwave heating process is highly controllable. Work space requirement is very less. 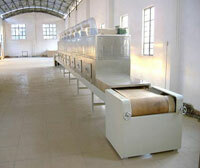 Cost of production with microwave dryers are lesser than air flow or direct heat transfer based dryers . High Quality Magnetron manufactured by Panasonic(Japan)/IBF(Germany)/Hitachi (Japan). Allen Bradley PLC, HMI and PID Indicator/controller. Required electrical & thermal safety features for microwave generator. Variable frequency (Belt speed control). Variable Power output (selectable) up to 100% .